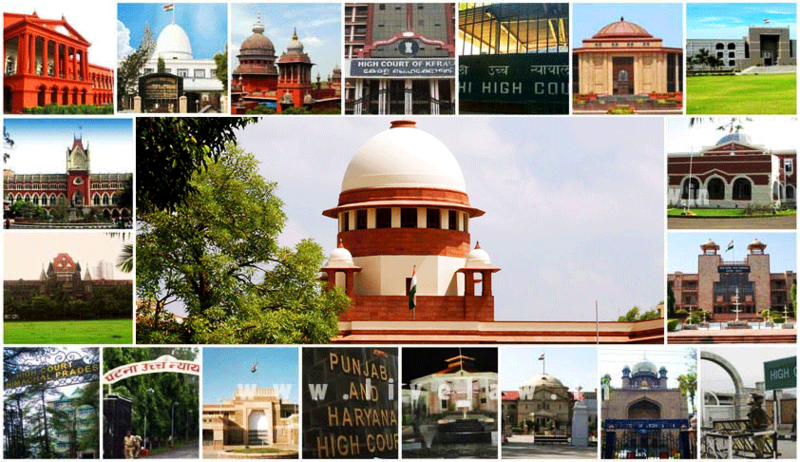 The Central Government has notified the transfer of three high court judges. Justice Alok Aradhe has been transferred to Karnataka High Court from Jammu and Kashmir High Court. As per the resolution passed by the Supreme Court collegium for his transfer, this was done at his request. Justice Rajesh Bindal has been transferred from Punjab and Haryana High Court to Jammu and Kashmir High Court. He was initially proposed to be transferred to Madras High Court, through a resolution dated October 29, 2018. Upon being requested to send his response in accordance with the Memorandum of Procedure, he sought to be transferred to any nearby High Court in north India, viz. High Courts of Jammu and Kashmir, Delhi, Himachal Pradesh or Rajasthan instead. The collegium had then acceded to his request and had recommended to transfer him to Jammu and Kashmir High Court instead. Justice Vineet Kothari has been transferred from Karnataka High Court to Madras High Court. He was initially proposed to be transferred to Allahabad High Court, through a resolution dated October 29, 2018. He had then requested to be transferred to the High Courts of Punjab and Haryana, Madras, or Delhi instead. Acceding to his request, the collegium had then changed its recommendation, to propose his transfer to Madras High Court instead.